Scrub potatoes (leave the skins on) and trim any dark spots. 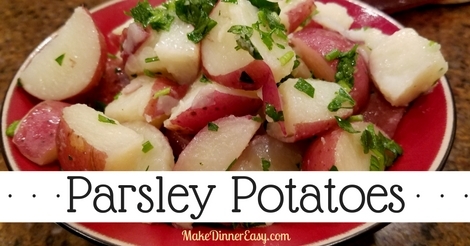 Cut each potato into quarters or bite sized pieces. 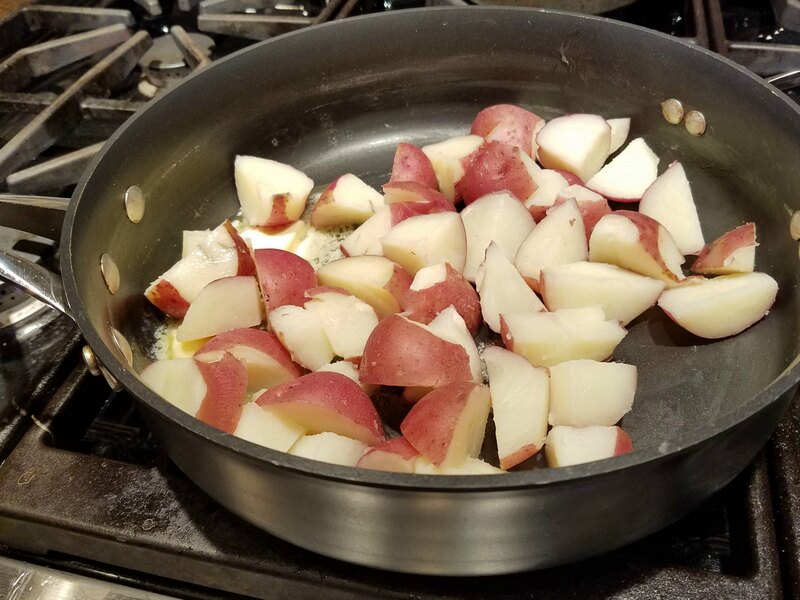 Place cut potatoes in a medium sized saucepan and cover with water (the water should be about 1- 1 ½” over the potatoes) Place on the stove and heat to a boil. 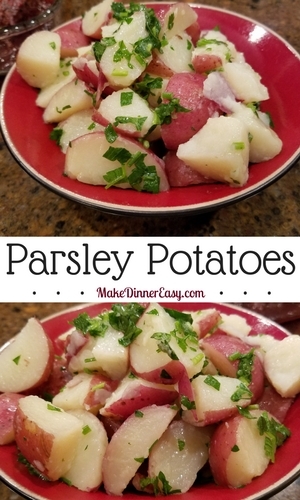 Cook until fork tender (may be about 8-10 minutes depending on size of potato dice). Drain potatoes and add remaining ingredients. Stir gently so that butter melts and serve. 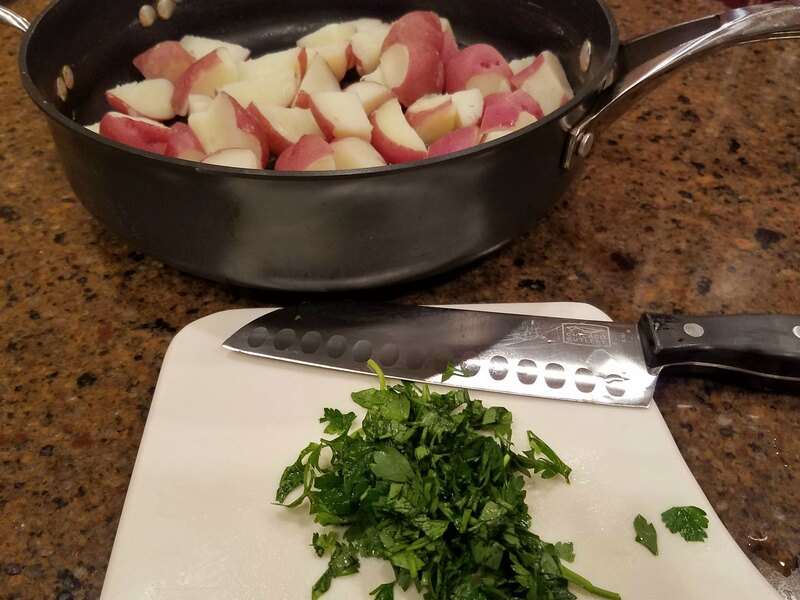 You may want to make a double batch of these Parsley Potatoes and brown the leftovers in a skillet with a little butter and diced onions for breakfast or lunch the next day.